Even though February is a shorter month, it can still feel like a long winter month. 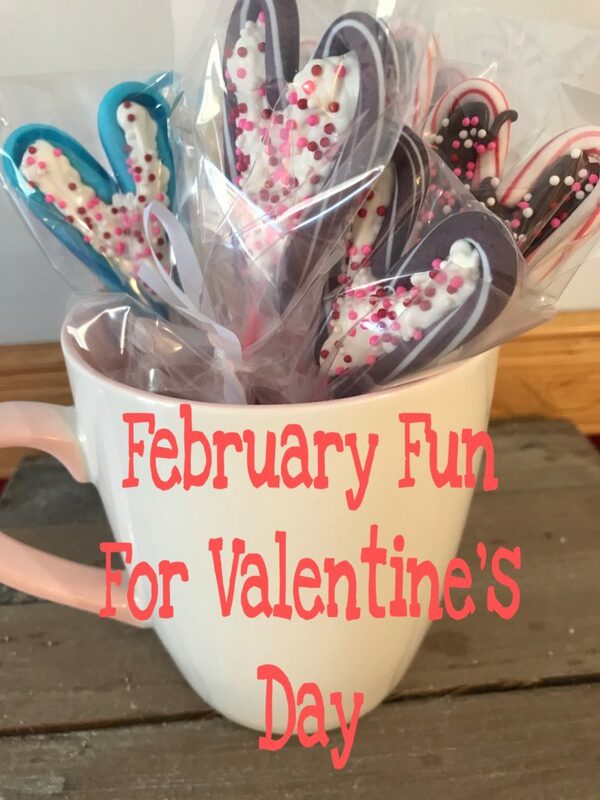 Learn how to make the first half of February Fun as you get ready for Valentine’s Day. 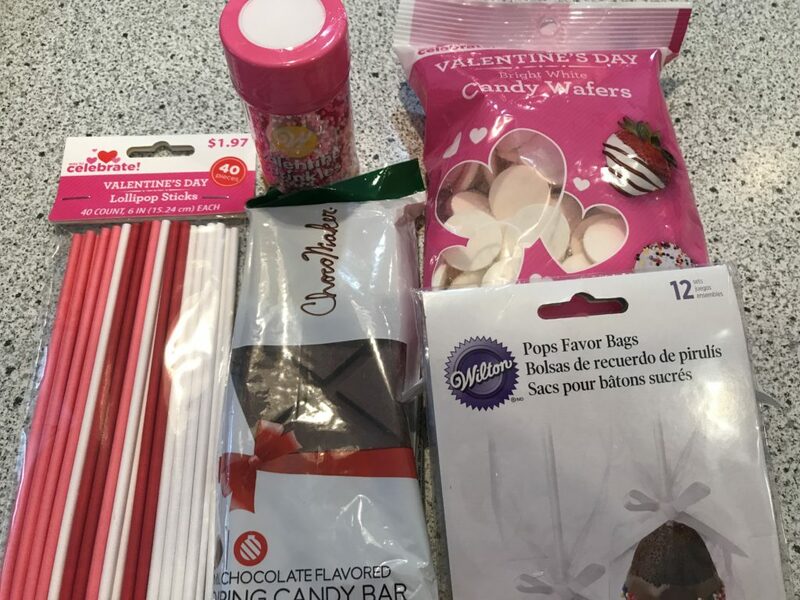 We’re gathering ideas for Valentine’s day at my table today. For many years in the northern climate, February went by at sluggish pace. It seemed the only words for this month were cold, snow, burr and boring. 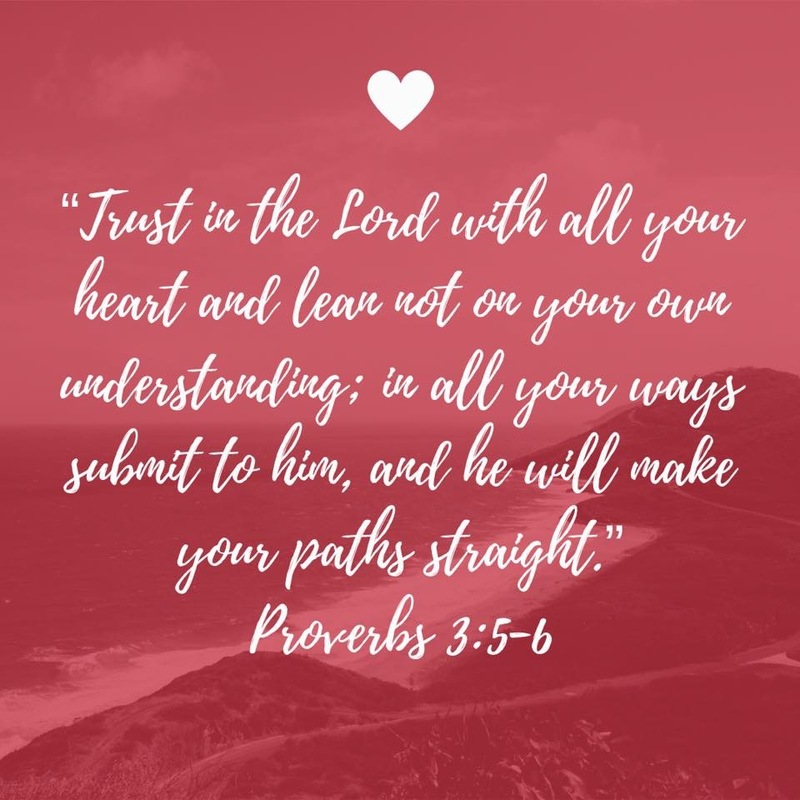 As my kids were growing, I had to find a way to enjoy the first few weeks of February and think of it like Advent. Instead it would be preparing for Valentine’s Day. 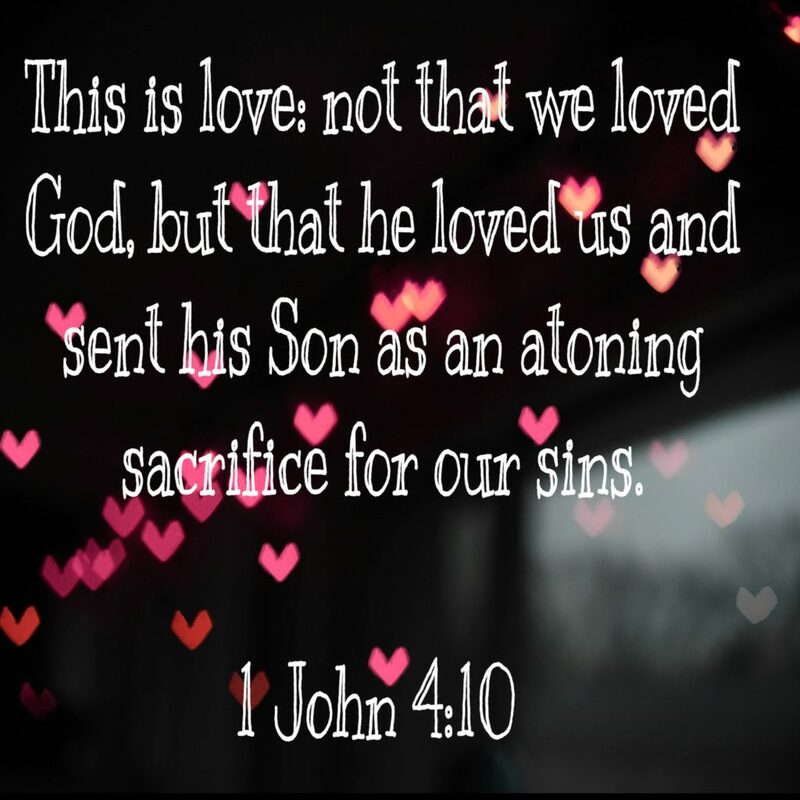 St. Valentine’s Day is Celebrated on February 14th and was renamed this by a Pope. It was another pagan holiday turned to a Christian holiday. Let’s just say there are many stories of the history behind this holiday and it’s hard to pin it to just one story. 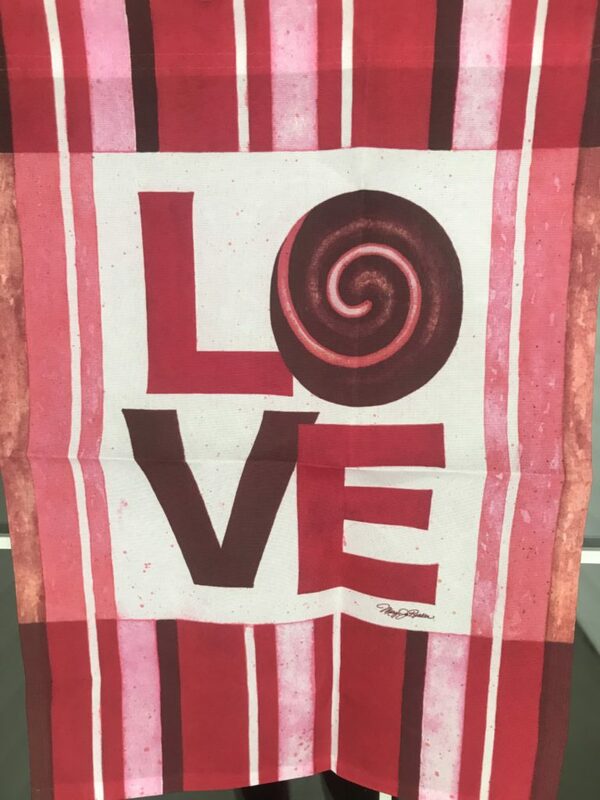 Over the centuries “Love” evolved with handmade greeting cards and gift giving. This is known as the holiday for “Love Birds”. I’d say it’s about Agape Love, the way God loves us and it’s a great holiday to bring that to the forefront for everyone. I like the idea of reminding others that God loves you and we can love others. When the kids were younger I made 14- 2×3 cards with love scripture verses on each of them. 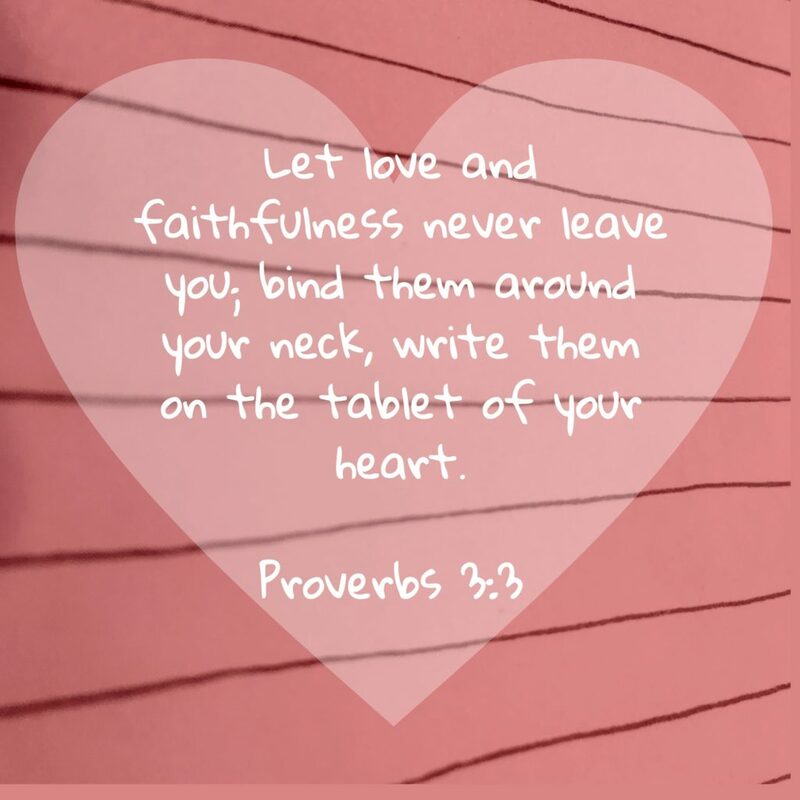 I made one verse for the 14 days leading up to Valentine’s Day. We put the cards in a container and pulled a new one out each day to read as a family at dinner or breakfast for the first 14 days of February. Kind of like counting the days to Valentine’s Day. I printed up a sheet of 14 verses; one page for each family member and cut them out. I added these cards to packed lunches, or tucked them on beds or in the bathroom so my kids could get a scripture love note each day. Pray the verse out loud for your family or yourself or try to memorize a few of them in 14 days. Have a contest to see who can memorize the most verses in 14 days. 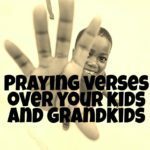 See blog on praying verses over your kids. 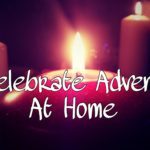 When I celebrated Advent this Christmas, I planned something fun to do each day. See advent blog. Do the same for Valentine’s Day. Celebrate days 1 to 14 or if that is too much, try days 7 to 14. That latter worked the best for me. If you don’t have an activity to do, then give a special note, treat or a gift each day. 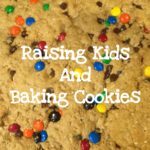 Your kids will love the expectation of each day. 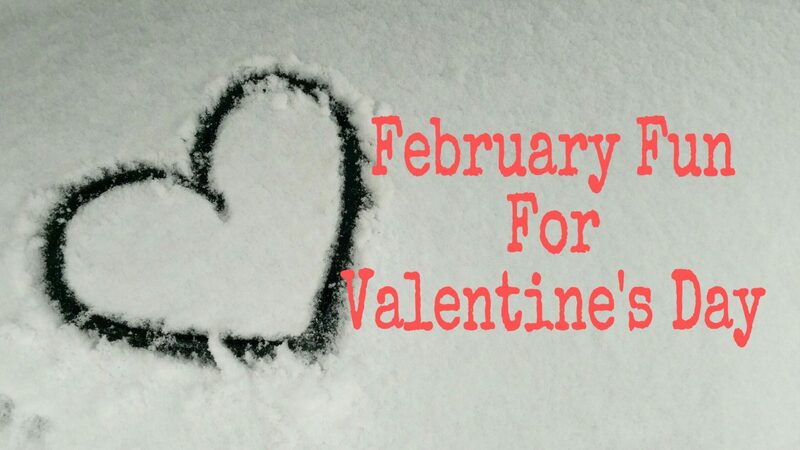 Here is an example list of things to do or give: Coffee/hot cocoa date, Fun in the snow, Make Valentine’s cookies and give to neighbors, Do random acts of kindness for others, Make homemade valentines for kids at school/neighbors/friends, a gift of chocolate kisses, Give them a pack of gum, and A love letter to your kids or husband. 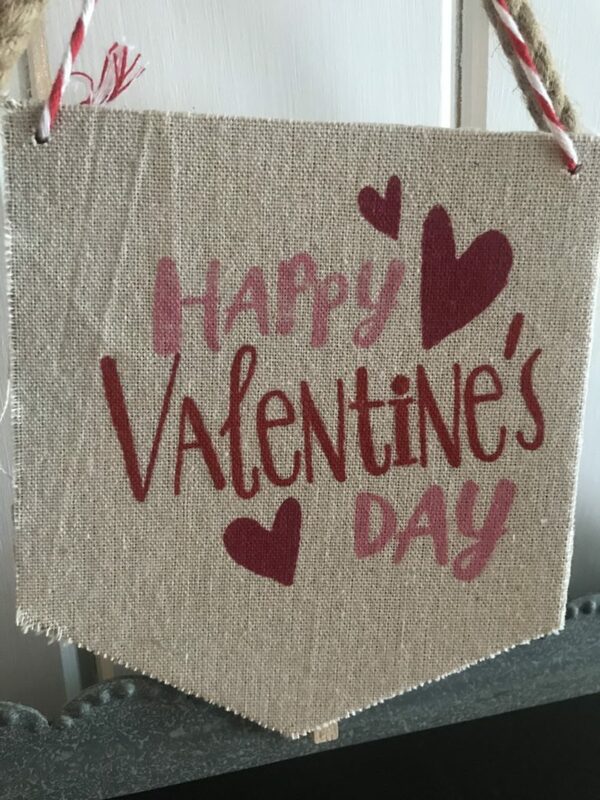 My kids still have memories of making homemade valentines for each of the kids in their class. This was a family activity we did together. We did many of the above ideas and came up with things to do before Pinterest. I got our ideas from Family Fun magazine. I still have binders with all the ideas/articles I cut out and saved for crafts, homemade valentine cards, costumes, games and etc. This is what we did before Pinterest. On the 14th Day, Valentine’s Day, plan a fun meal for the family. Forget about eating out. There are too many people that go out, it’s expensive and it takes the fun out of Valentine’s Day! 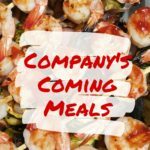 If your kids are grown, or you are single, invite the grandkids over or your friends for a meal. Spaghetti with red sauce and add shrimp to jazz it up, breadsticks and salad. Eat heart shape pizza. 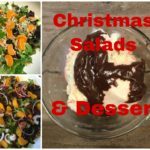 Cranberry or Pomegranate Izzie’s and fruit salad made with red fruit. Pomegranate fruit with dark chocolate drizzled over it for a dessert or snack. Chocolate cookies dipped in white chocolate. 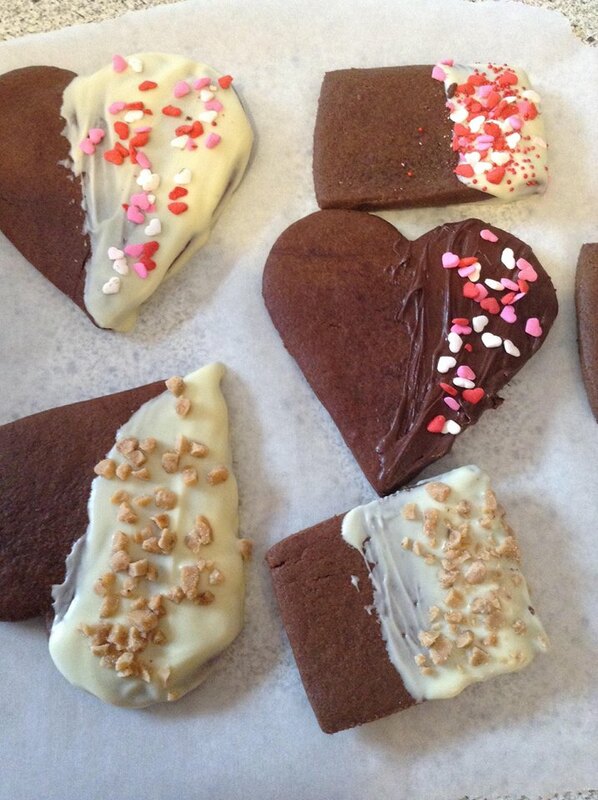 The link has the recipe similar to the chocolate Valentine cookie recipe in the cookbook. 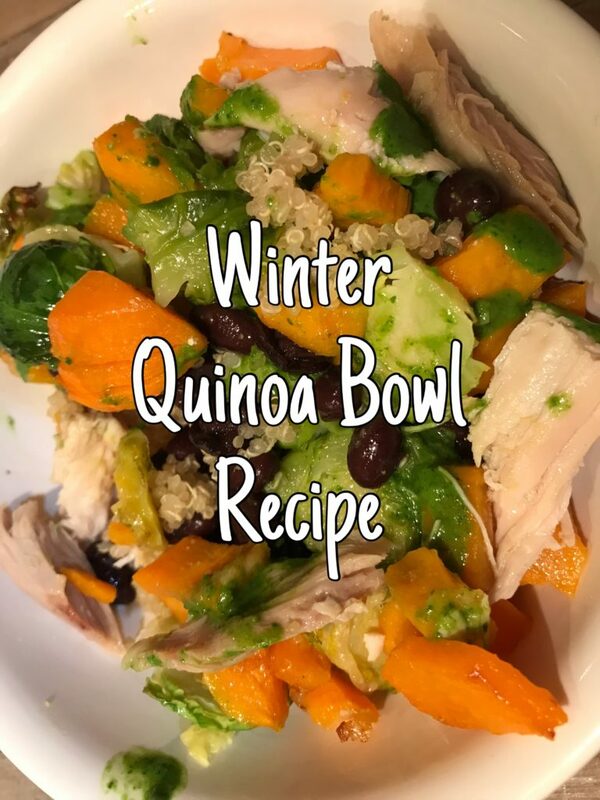 Pioneer Women Cooks recipe link. 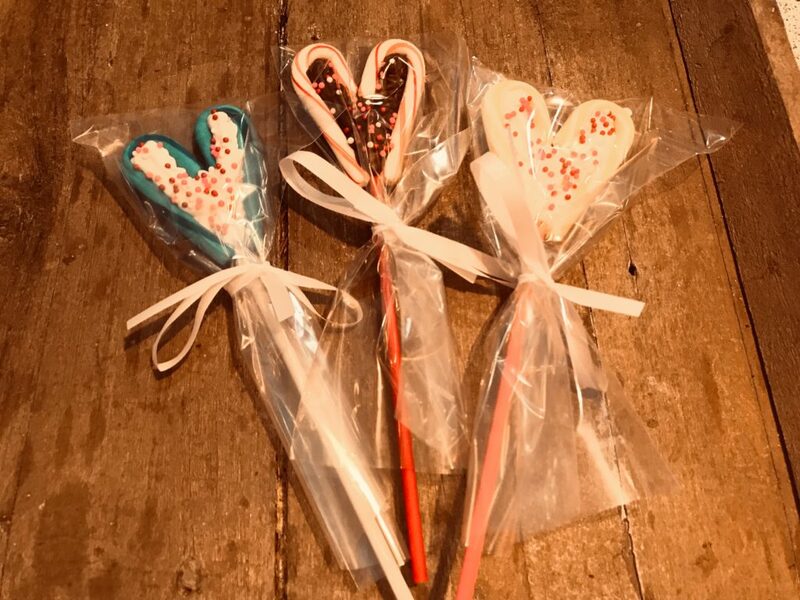 Finally, make heart shaped suckers to give away. Candy Melts: vanilla, white or pink or even chocolate. Small cellophane bags and ties. I used the ones for cake pops. Mini candy canes- any flavor or color. If you can’t find them or didn’t get any on clearance you will have to pin this idea to use for Valentine’s day next year. There are some available at Amazon.com. 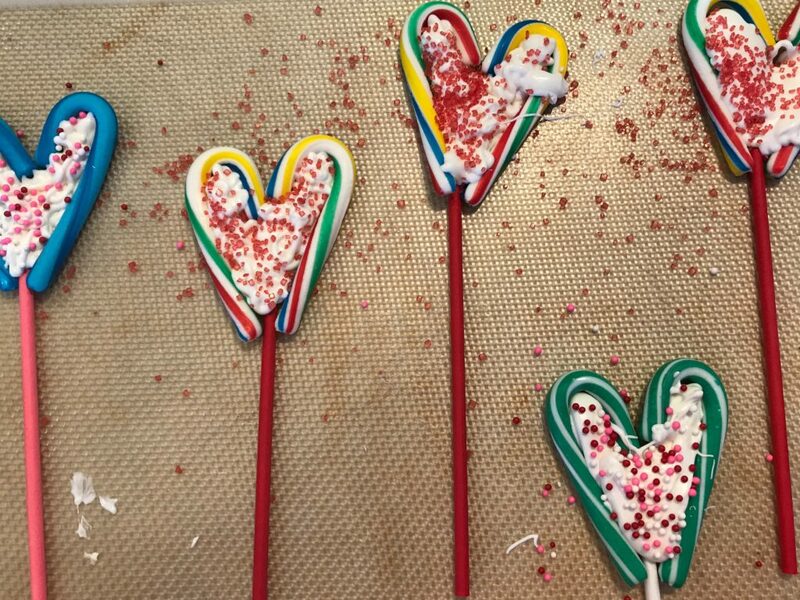 Unwrap candy canes and put 2 candy canes together to make a heart. Place on a cookie sheet lined with parchment or a silicone baking mat. Add a stick to the bottom. Melt chocolate or white chocolate melts on stove/microwave/crockpot, or instructions. Add a few tablespoons of melts to the inside of heart until full. I used a drizzler from Pampered Chef to add the heated melts. Add any sprinkles and let harden. When done wrap in cellophane bags and tie/ribbon. 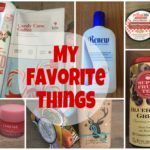 You can find all of these items at Amazon.com or Walmart. I purchased mine at Walmart. 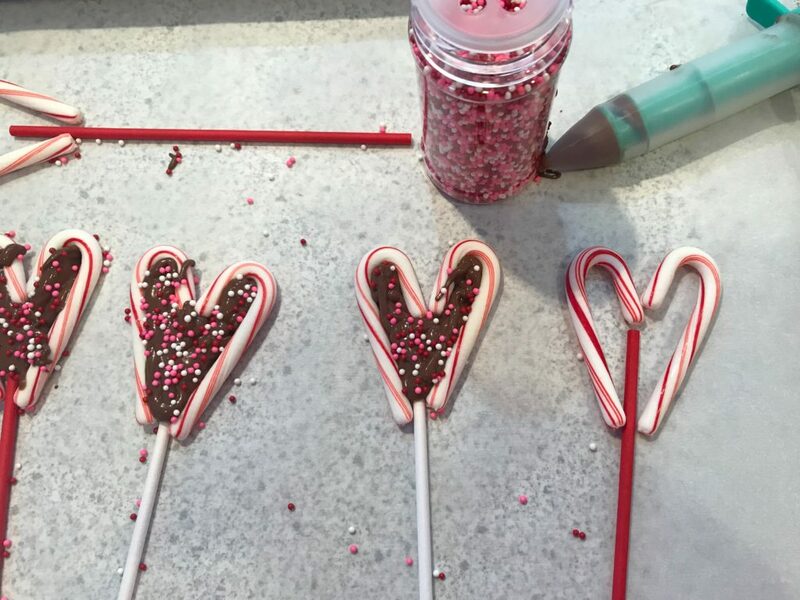 I used chocolate melts for the regular peppermint candy canes and these would be nice to dip into hot cocoa. If using fruity candy canes, they can simply be eaten like a sucker. Give these to your friends or kids. I am in Bible Study Fellowship, so I will plan to give these to the women in my group this year. Have fun this February and watch the days go by before your eyes. 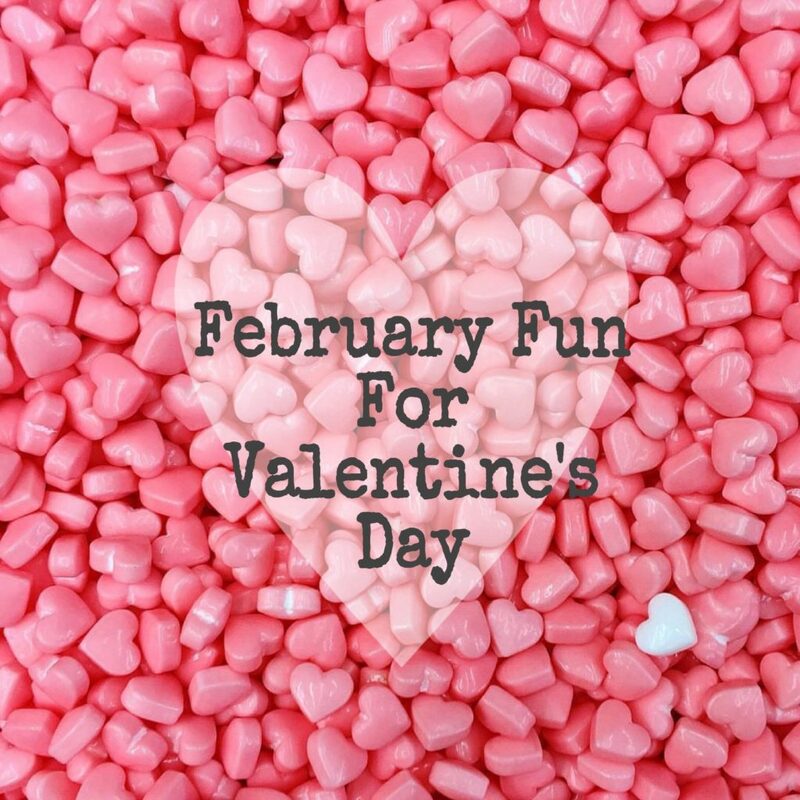 Do you have any fun ideas to celebrate Valentine’s Day? Share in the comments section. Enjoy some fun this February!